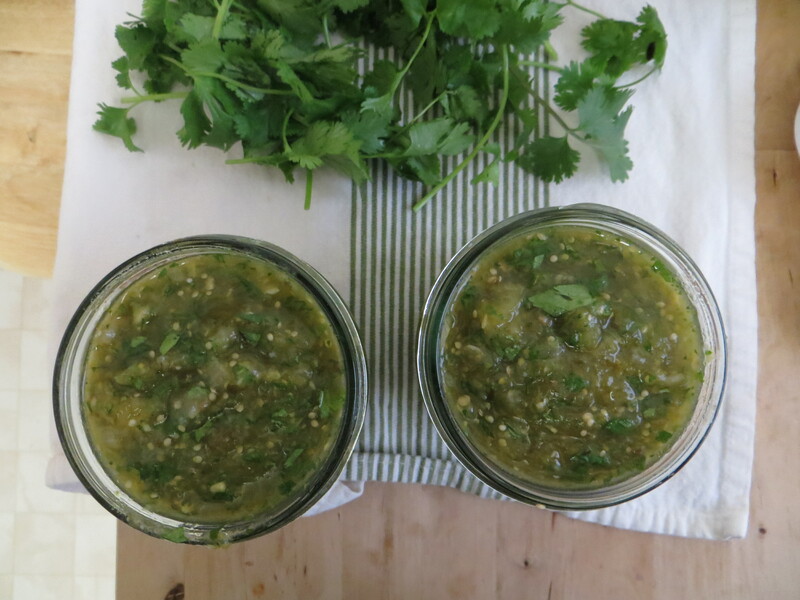 I took advantage of cool temperatures the other day and turned on the oven to make a batch of roasted tomatillo salsa. I love making homemade salsa because it is so easy and so good! I always follow the recipes in Salsas That Cook by Rick Bayless, a trusted salsa reference around our house, and they always turn out great. This one was no exception. 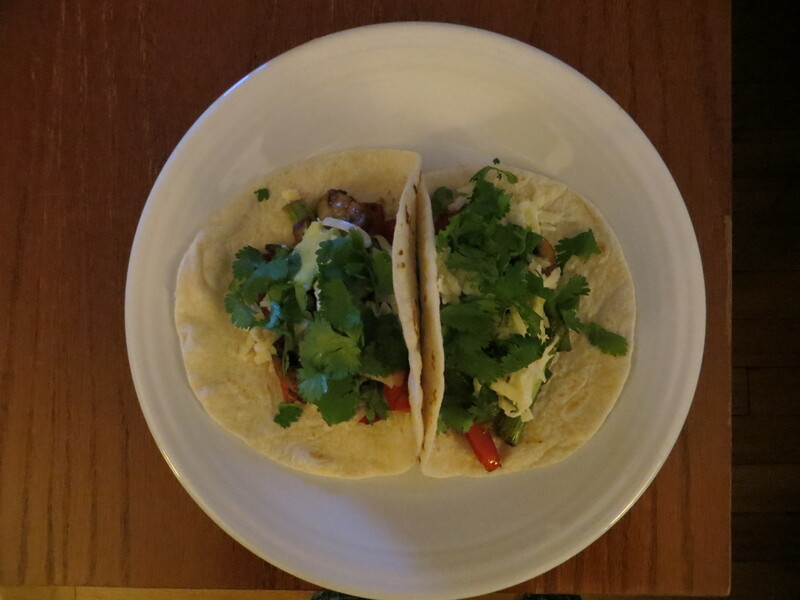 To make this, you roast tomatillos, Serrano peppers, onions, and garlic. Then, you pulse everything up in a food processor, and stir in some chopped cilantro, salt, and a tiny bit of sugar. That’s it! I went a little nuts with the peppers for this batch and it ended up having a good amount of heat. If you don’t like things too spicy, I recommend seeding your peppers before roasting. 1. Preheat oven to 425 degrees. Place tomatillos and peppers on a foil-lined baking sheet. Roast until the veggies are soft and blackened in spots. I turn everything over after 15 minutes of roasting and then put it back in the oven for another 15 minutes. Remove from oven and set aside to cool. 2. Arrange the onion slices and garlic on another foil-lined sheet pan. Roast for about 15-20 minutes, until everything looks cooked and blackened in spots. Remove from oven and set aside to cool. 3. Place the roasted onions, garlic, and peppers in a food processor. Pulse until roughly chopped. Transfer the mixture to a large bowl. Then, place the roasted tomatillos in the food processor (no need to rinse it out!) and puree. Add the tomatillos to the onions and peppers mixture. 4. Stir in the chopped cilantro. Give the salsa a little taste at this point. It should be pretty tangy with all those tomatillos! Season very well with salt. 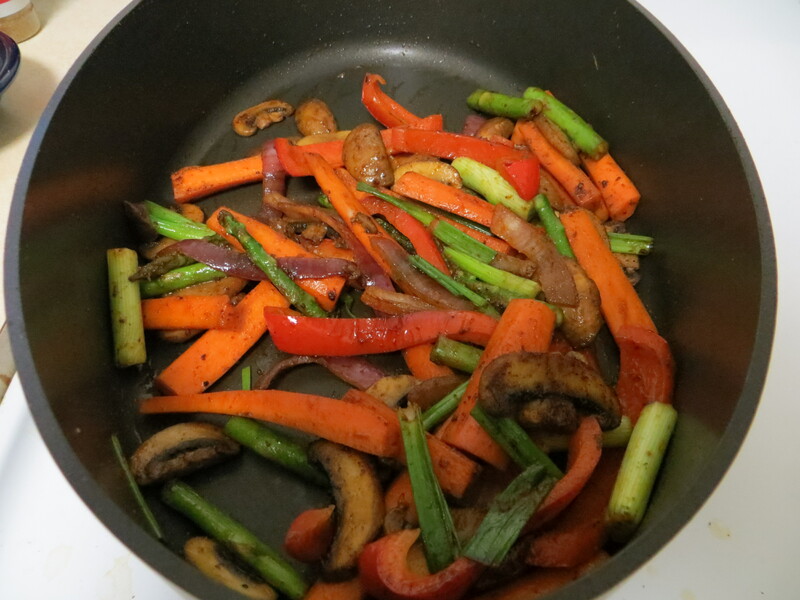 I used 2 teaspoons of salt, which is what Rick Bayless recommended for this amount of veggies. I also added ½ teaspoon of sugar, and about a ½ cup of water to get the consistency just right. Feel free to add more water and/or sugar as needed. 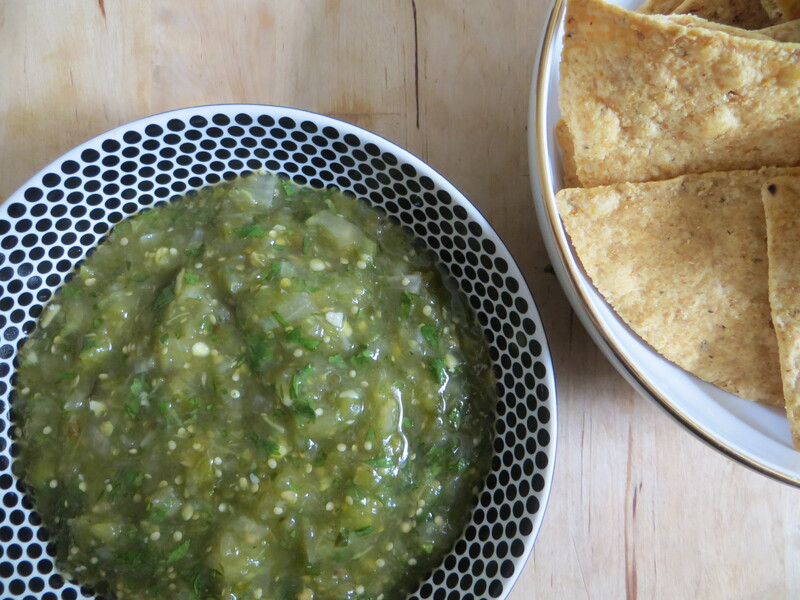 Tasting as you season is the best way to go for homemade salsa. Remember, you can always add more, but you can’t take it out! Note: The amounts listed here make about 4 cups of fresh salsa. 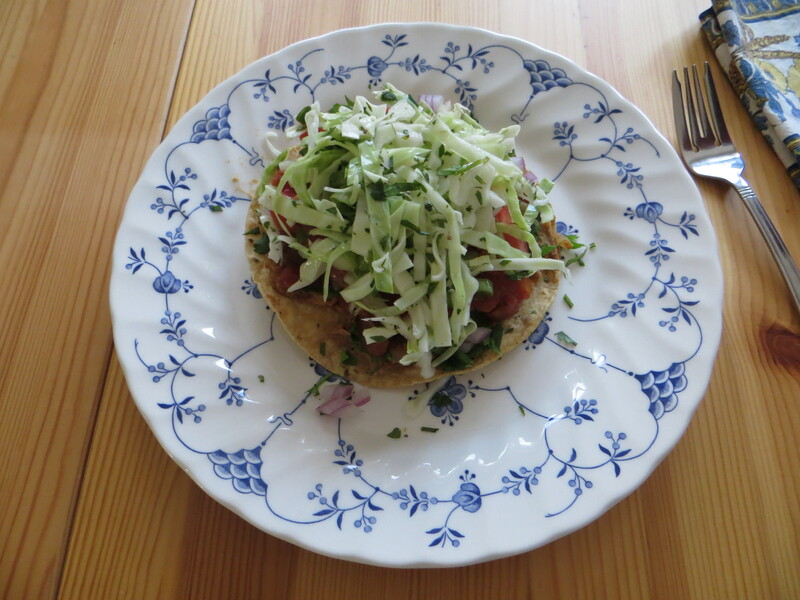 Rick Bayless advises that fresh salsa should be stored in the refrigerator and eaten within 5 days. Categories: easy, Mexican, salsa, serrano peppers, tomatillos, vegan, vegetarian | Tags: easy, Mexican, salsa, serrano peppers, tomatillos, vegan, vegetarian | Permalink.